We, Filipinos definitely love to eat and celebrate. In every birthdays, there will always be a pancit dish prepared to signify good health and long life. Growing up, I am only acquainted to only 2 pancit varieties, Pancit Bihon Guisado and Pancit Canton. That's the only pancit I know until I fell in love with traveling and discovered other pancit varieties from different provinces in the Philippines. Two of my favorite pancit came from the northern Luzon, namely, Pancit Batil Patung (from Tuguegarao) and Pancit Cabagan (from Isabela). Whenever I visit Tuguegarao City, I make sure I have a serving of their famous pancit, which you could find in every corner around the city. But there's still so many pancit dishes from the the different regions of the Philippines that I haven't tried. Good thing my friends shared to us a restaurant that serves different kinds of pancit dishes coming from around the Philippines. Located in Pioneer St. Cor. 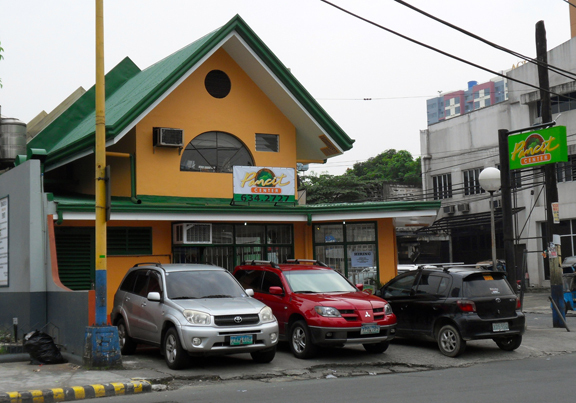 Shaw Blvd., Kapitolyo, Pasig City, Pancit Center is a haven for noodle lovers. 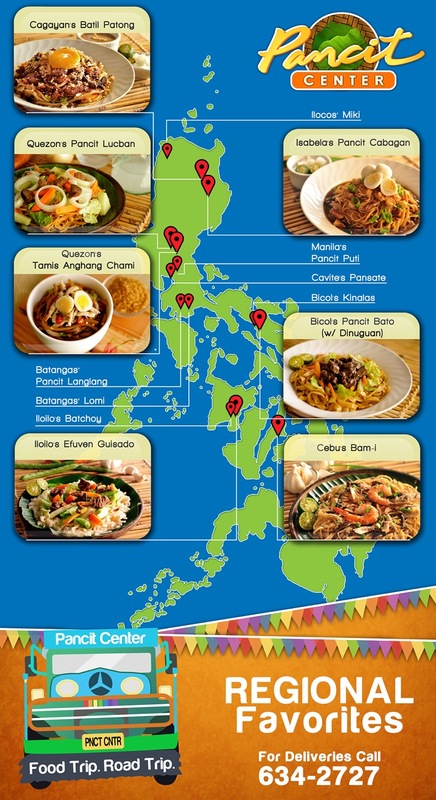 They offer more than 20 sumptuous pancit recipes from the provinces all over the Philippines. With more than 30 years of cooking experience, Pancit Center is definitely "The 1st and only Pancit Specialist" in Metro Manila. 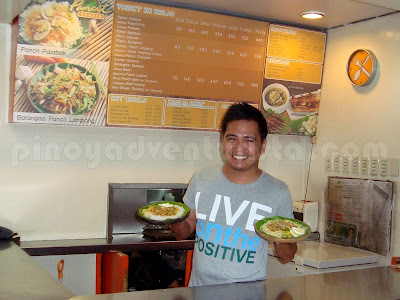 Together with my travel and food-lover friends, we went to Pancit Center last weekend to embark on a food journey with the different pancit dishes offered at the restaurant. We sampled on 11 different regional Pancit from different provinces! Tara! Travel with us! 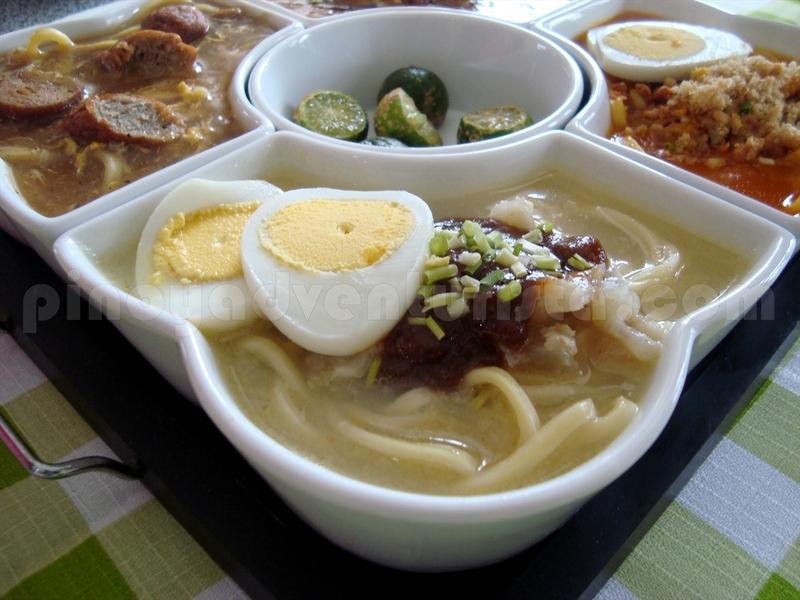 First on the menu were the Hot Bowls Regional Sampler composed of Bantangas Lomi, La Paz Batchoy, Pancit Miki and Kinalas. I've tried La Paz Batchoy and Batangas Lomi before, but the Pancit Miki and Kinalas are new to me. 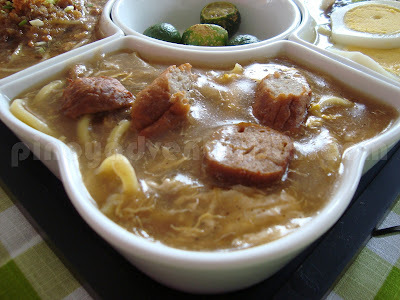 Batangas Lomi from Lipa, Batangas is made of fresh miki, pork meat, liver, meatballs and kikiam. "Pagka-sarap eh!" La Paz Batchoy from Iloilo City is made of thin miki noddles with guinamos (Ilonggo bagoong), liver, pork meat, garlic and chicharon. "Namit!" 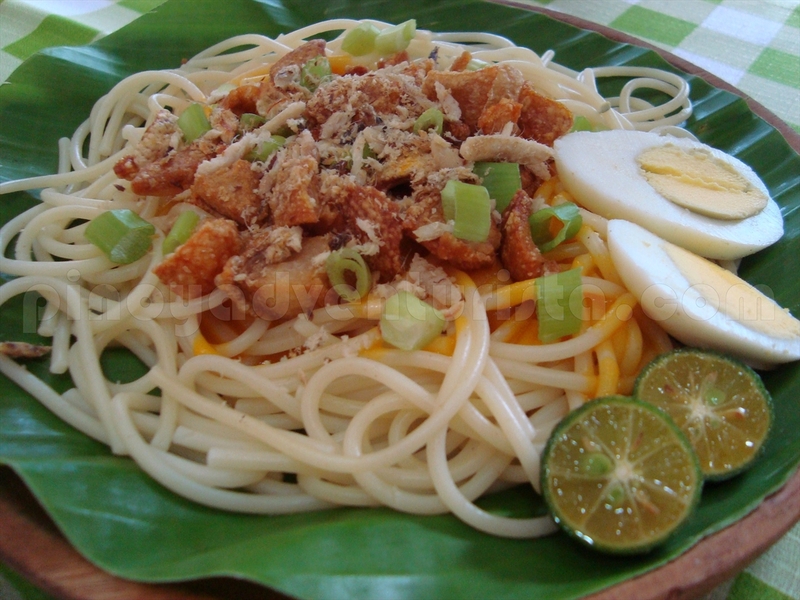 Pancit Miki from Batac, Ilocos Norte is made of thick miki noodles, atchuete/annato for coloring, eggs, chicken and chicharon. "Naimas!" 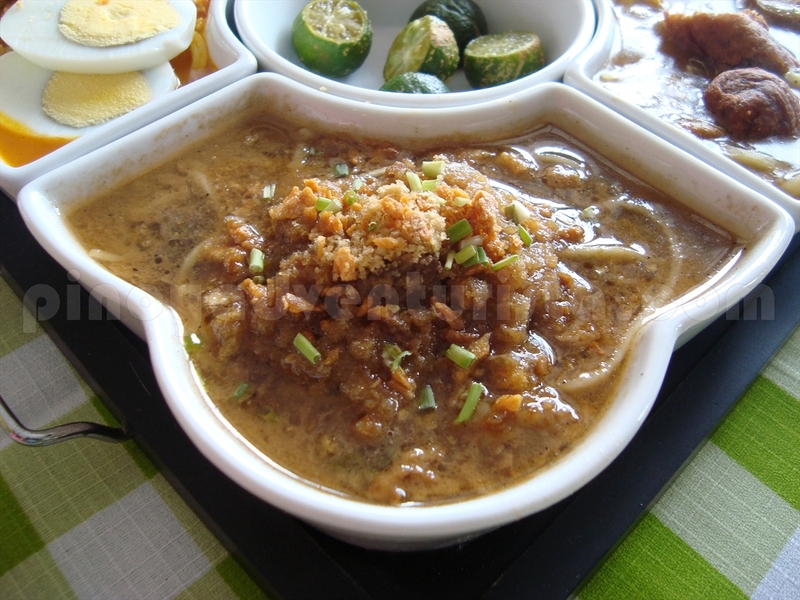 Kinalas from Naga, Camarines Sur is made of thick miki, pork meat "na kinalas sa buto", special sauce and eggs. "Masiram!" All four dishes are really good especially when served hot and paired with their special puto. 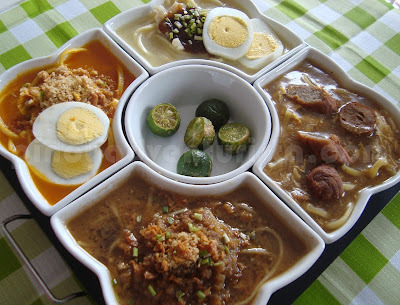 But among these four, Batangas Lomi is my favorite. 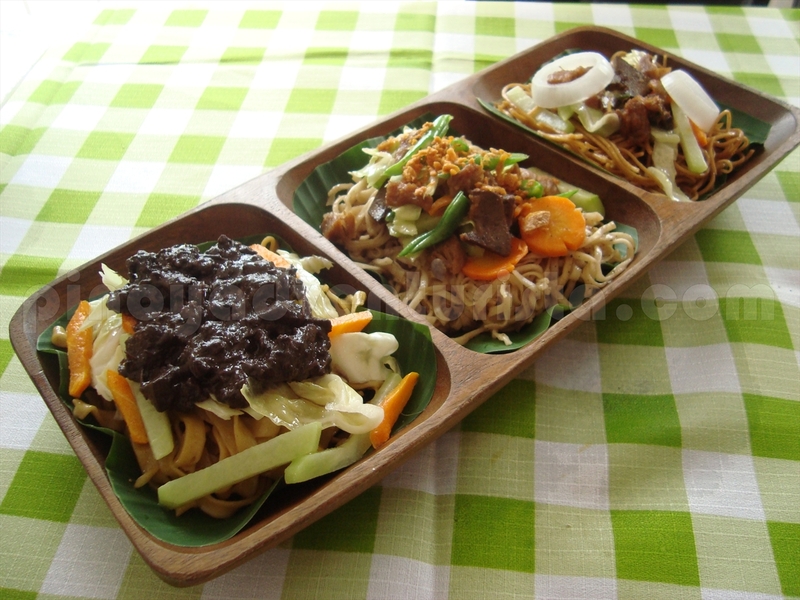 Next is what they call "Three takes on Pancit Guisado", it is composed of 3 pancit dishes, namely Pancit Bato with Dinuguan, Efuven Guisado and the more popular, Pancit Habhab. 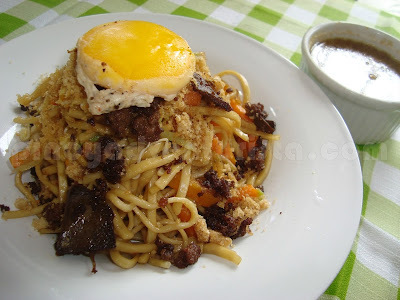 Pancit Bato with Dinuguan is a recipe from Bato, Camarines Sur. 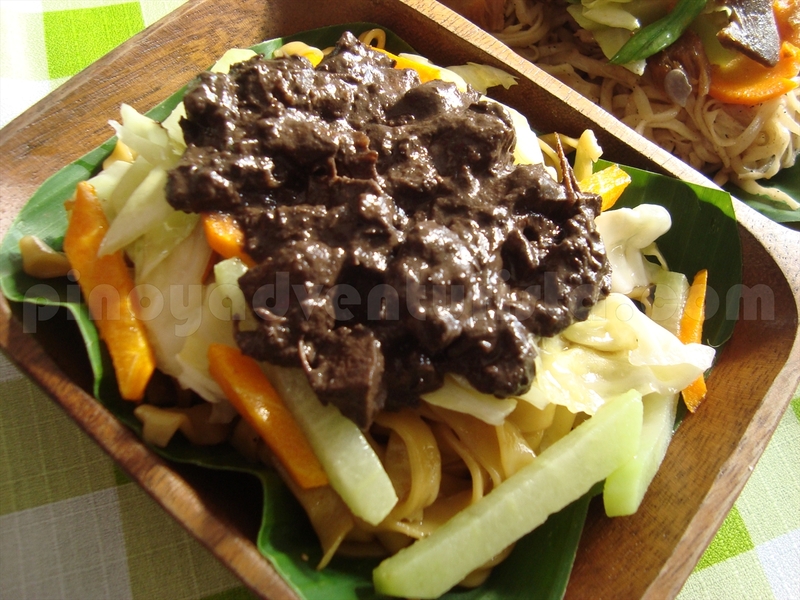 It is made of Bato noodles, vegetables and topped with dinuguan. I like this one. The flavors of the dinuguan is so good on the pancit. This is definitely a must-try! 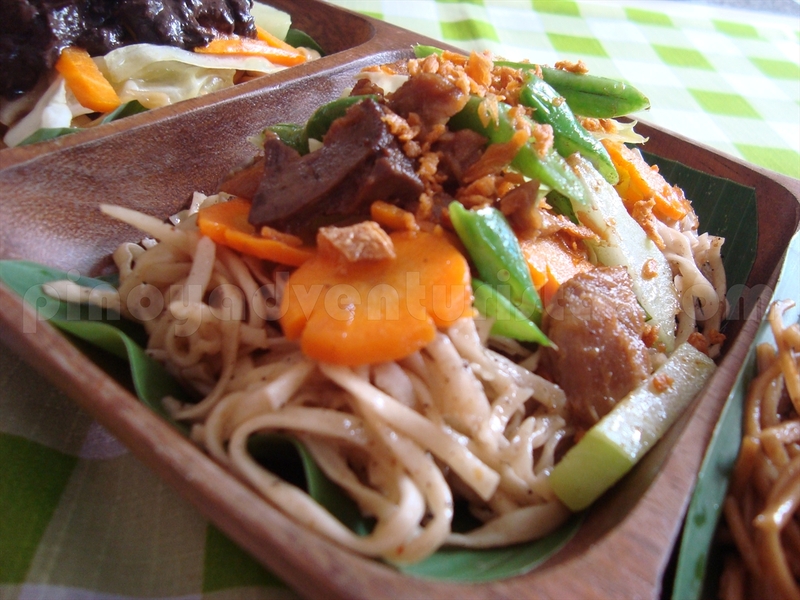 Efuven Guisado from Iloilo City is made of Efuven noodles, stir-fried vegetables toppings. 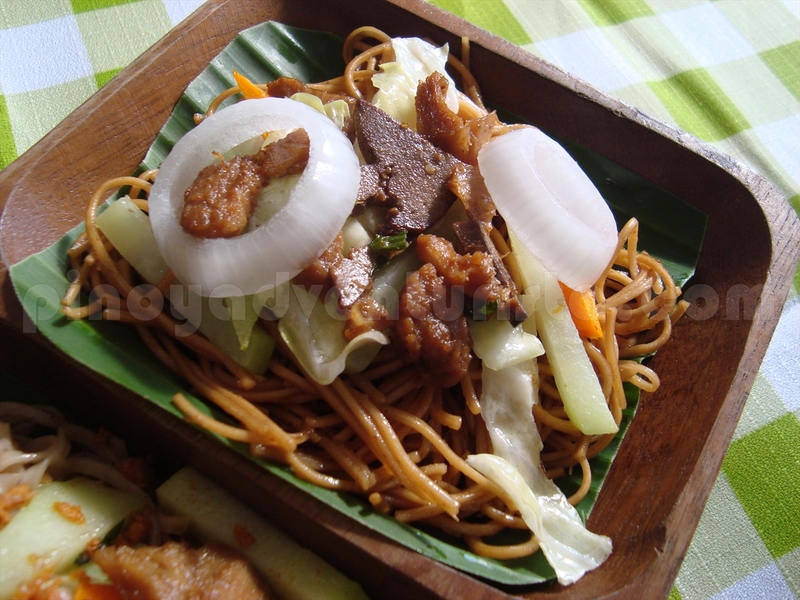 Pancit Habhab from Lucban, Quezon is made of Lucban noodles, sayote, pork meat, liver and white onions. Best eaten with vinegar. All three are good. 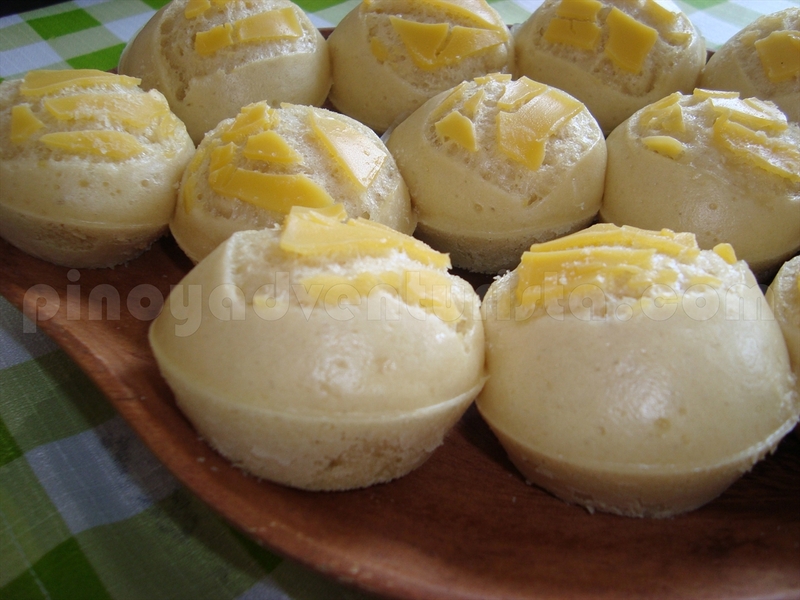 But the runaway winner for me is Camarines Sur's Pancit Bato. 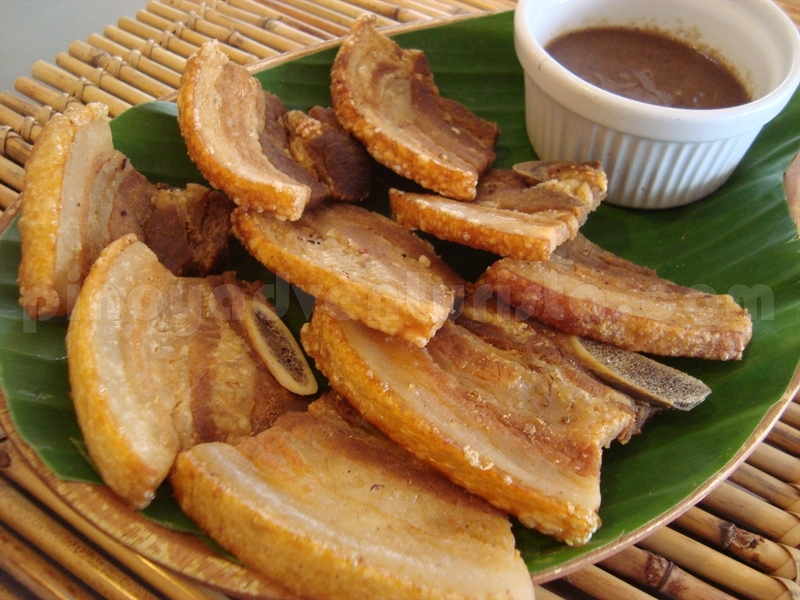 It's best paired with their crunchy Lechon Carajay. Sinful, but who cares, minsan lang naman... Hehehe! 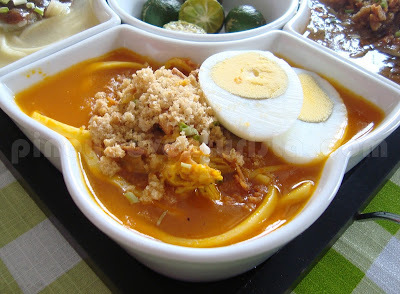 Pancit Marilao from Marilao, Bulacan is made of bihon noodles, topped with Bulacan okoy, kamias, eggs and mixed with their special Corrie's Palabok sauce. Spabok from Balanga, Bataan is made of spaghetti noodles topped with their home-made chicharon, tinapa, eggs and mixed with their special mix of Corrie's Palabok sauce. 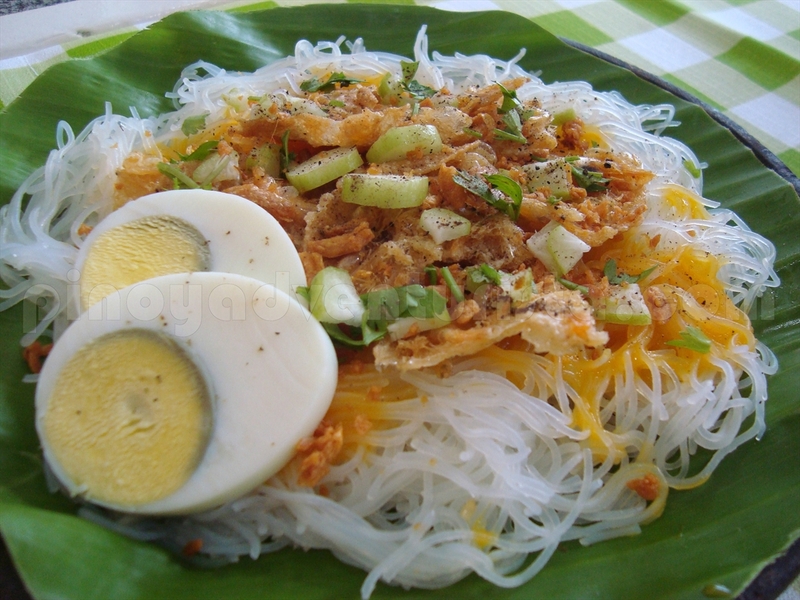 Pancit Batil Patong, a specialty dish from Tuguegarao, Cagayan. It is made of noodles, poached egg yolk, vegetables, ground beef, liver and chicharon. Best paired with Batil (egg soup) and added with onions. So yummy! This is my favorite pancit! 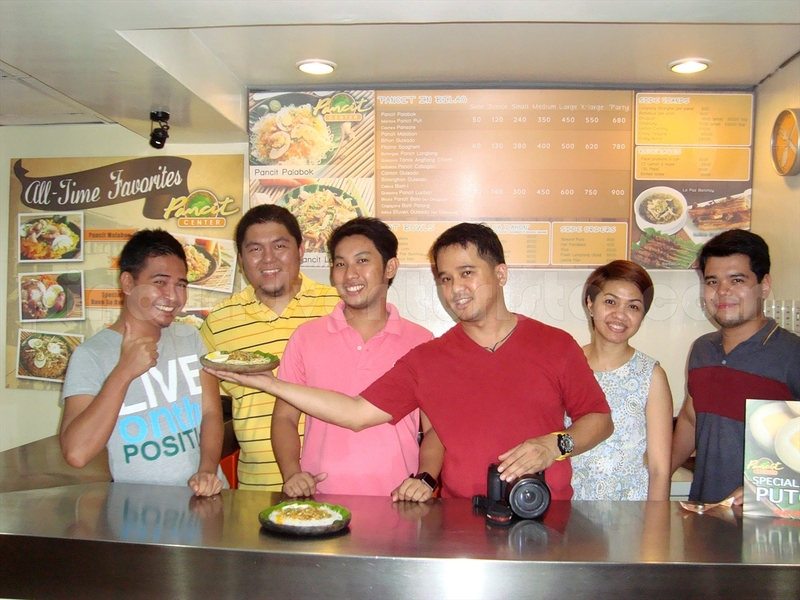 Eating it here in Manila brings me back to Tuguegarao as they have captured the real taste of it. Very authentic! 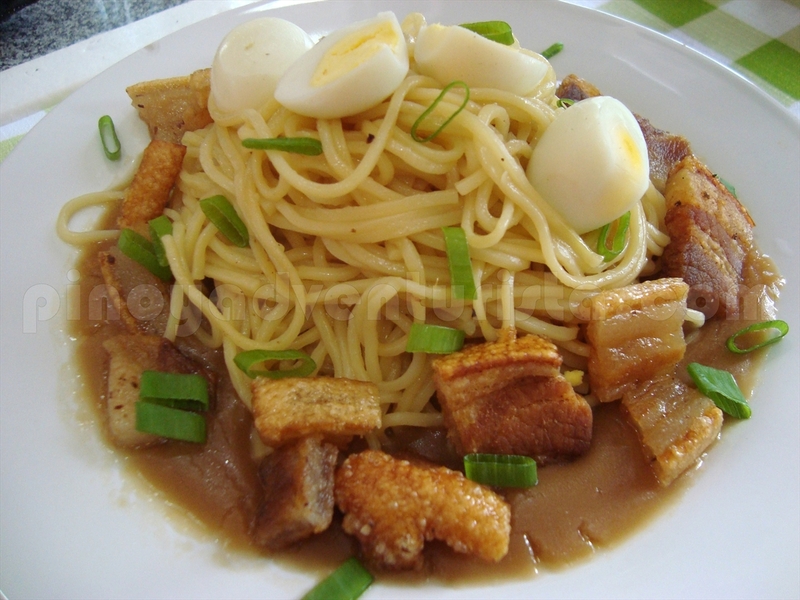 Pancit Cabagan from Cabagan, Isabela is made of miki noodles, caldo topped with quail eggs and lechon carahay. 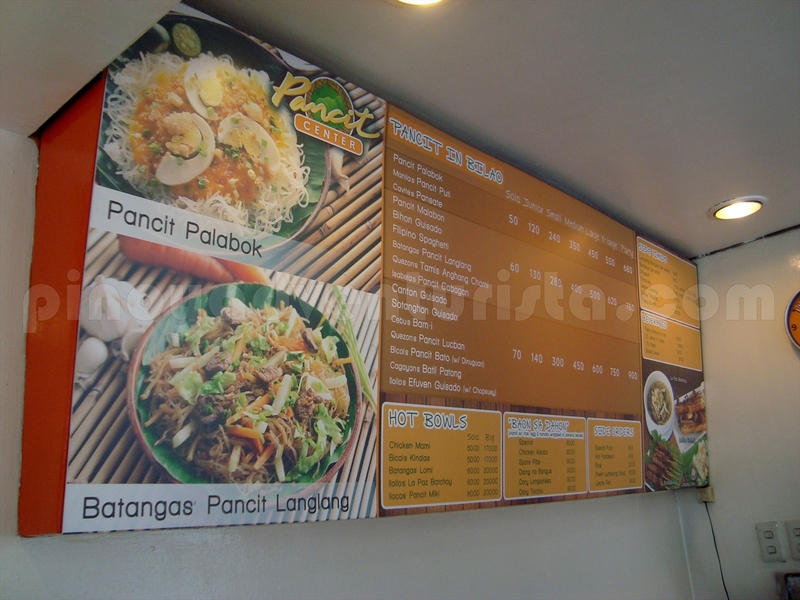 For the full list of their menu, visit www.pancitcenter.com/menu. Oh my....nagutom akong bigla!!! Itatry kovtalsga yan since malapit lng smin!!! Mukhang masarap lhat!!! Last month, I was on a trip of Philippines with my friends. It is really a very beautiful country to visit. 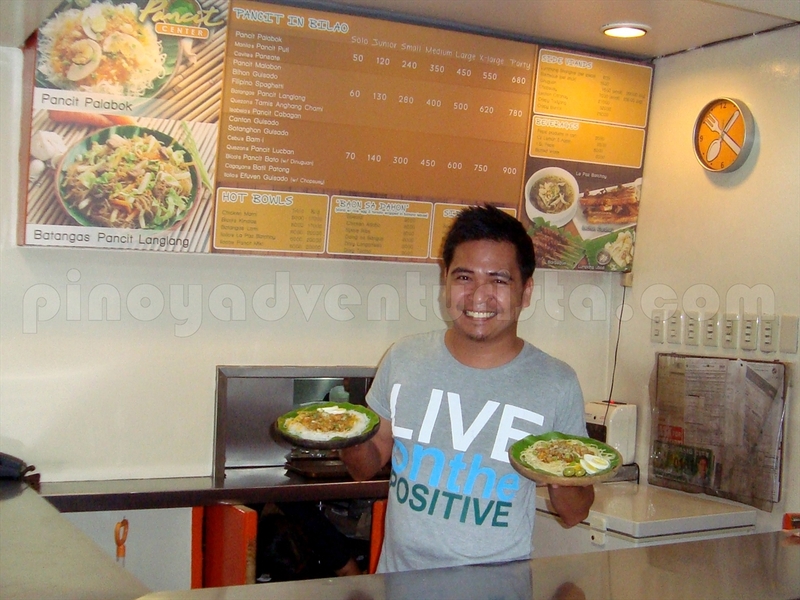 We have tried the best dishes of Philippines. It was amazing food. Our trip was really memorable.